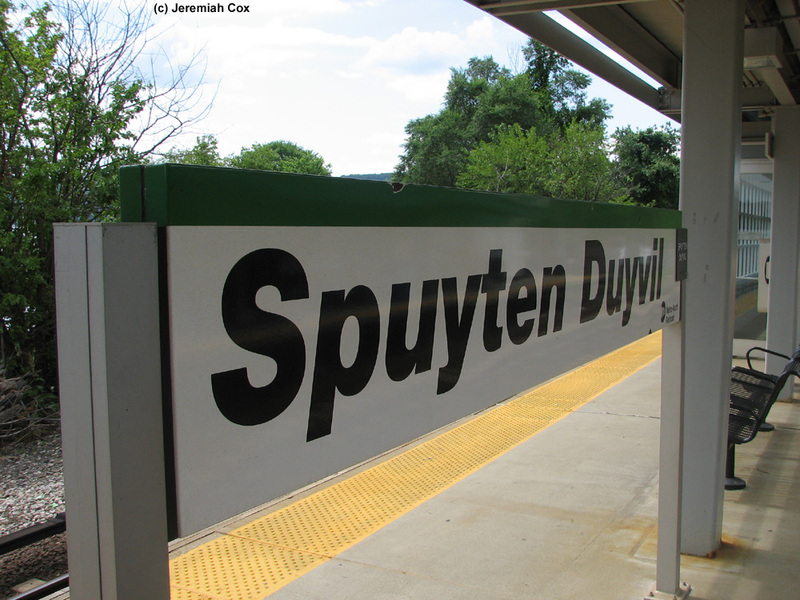 Spuyten Duyvil is located directly beneath the arch of the Henry Hudson Bridge. 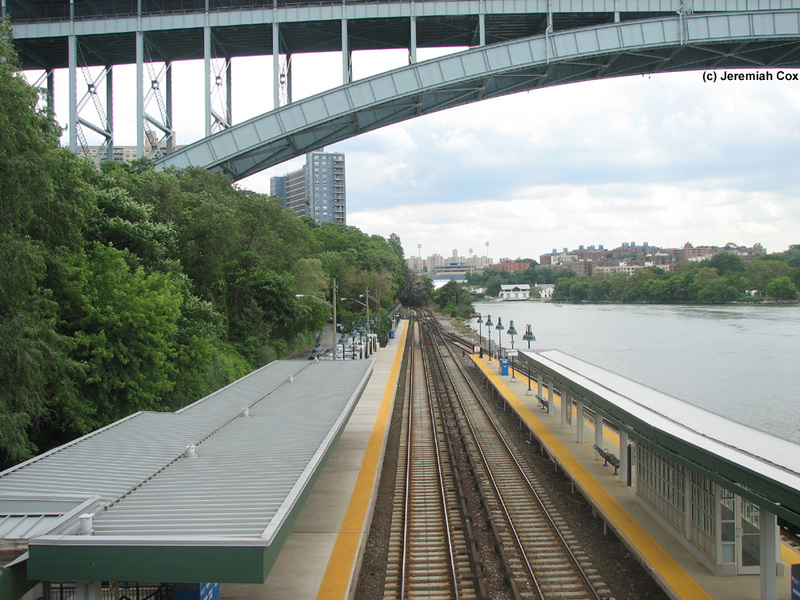 The station is along the Harlem River just before it reaches the Hudson River. 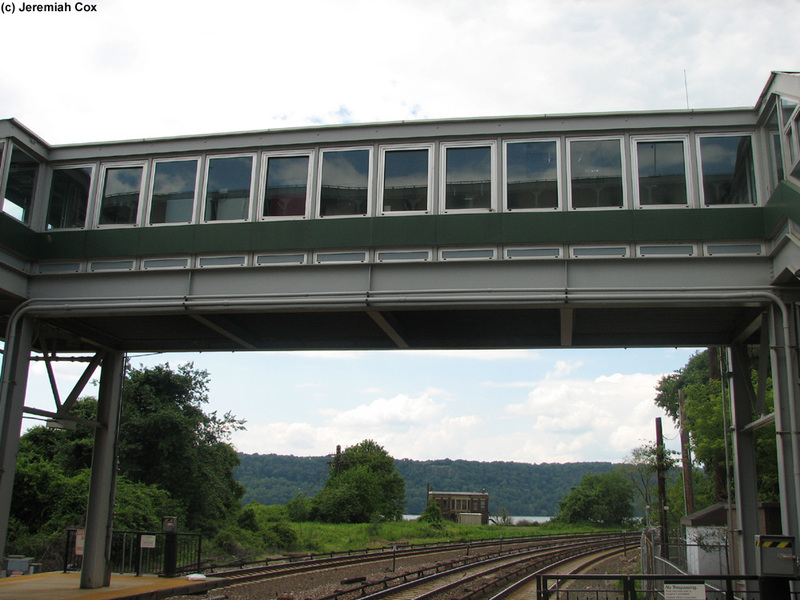 The Spuyten Duyvil Swing Bridge, used by Amtrak to enter Manhattan is just east of the station, at the edge of the Harlem River Tidal Straight where it reaches the Hudson River. 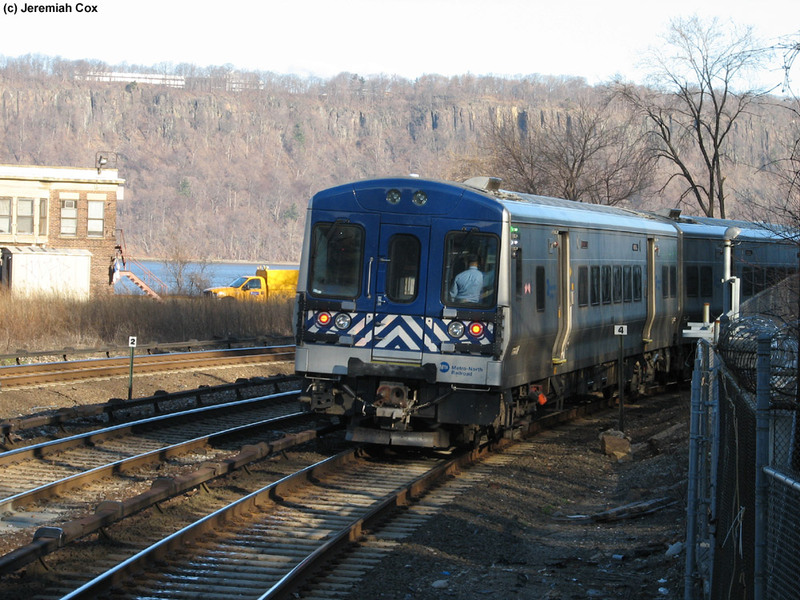 Metro-North trains here go around a sharp curve to keep following the shoreline of the Bronx and transition onto the Hudson River. 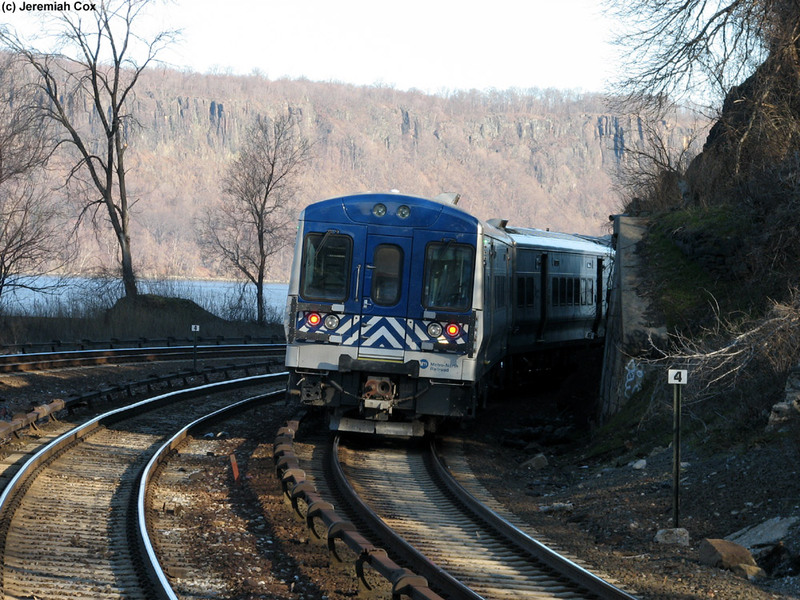 On Thanksgiving Sunday, December 1, 2013 a deadly Metro-North derailment occurred by a speeding southbound Metro-North train on this curve just before the station (Photos are included of this accident taken from across the river in Inwood Hill Park). 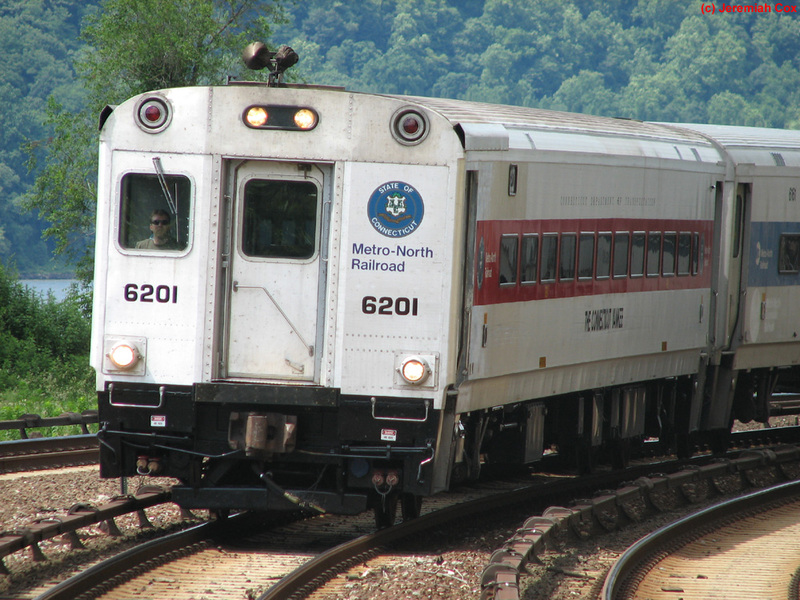 Base off-peak train service since the April 7, 2013 timetable changes (service used to only be hourly) is now provided every half-hour from the two electric trains per hour, one local, one semi-express to and from Croton-Harmon. 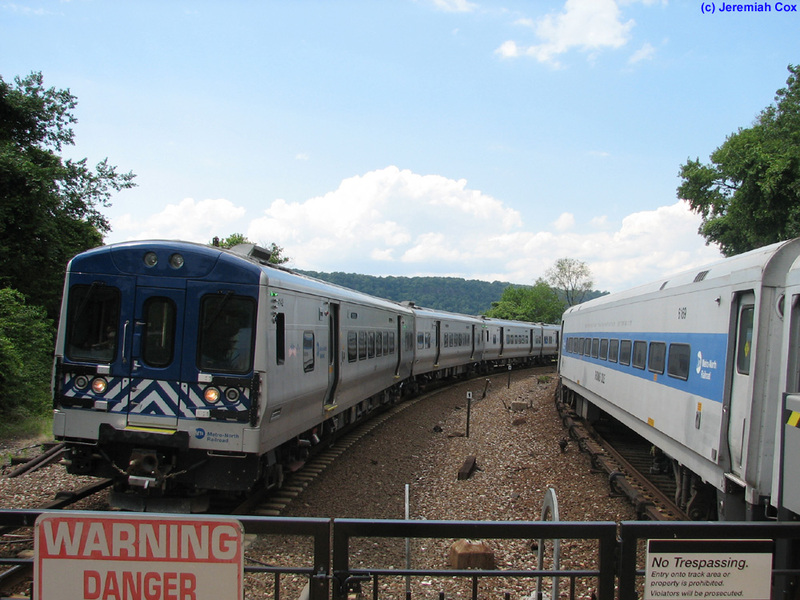 Only diesel trains going to and from Poughkeepsie bypass the station. 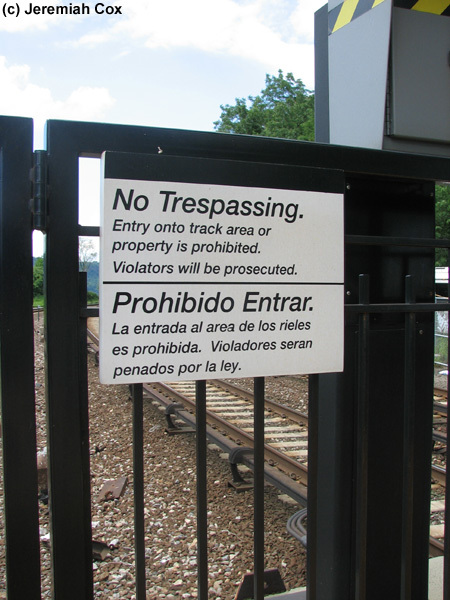 The station is only accessible by Edsall Avenue that is a steep, narrow street that loops down and around to the station from the high bluffs above. Pedestrians also have the option of using some more direct street-stairs down. 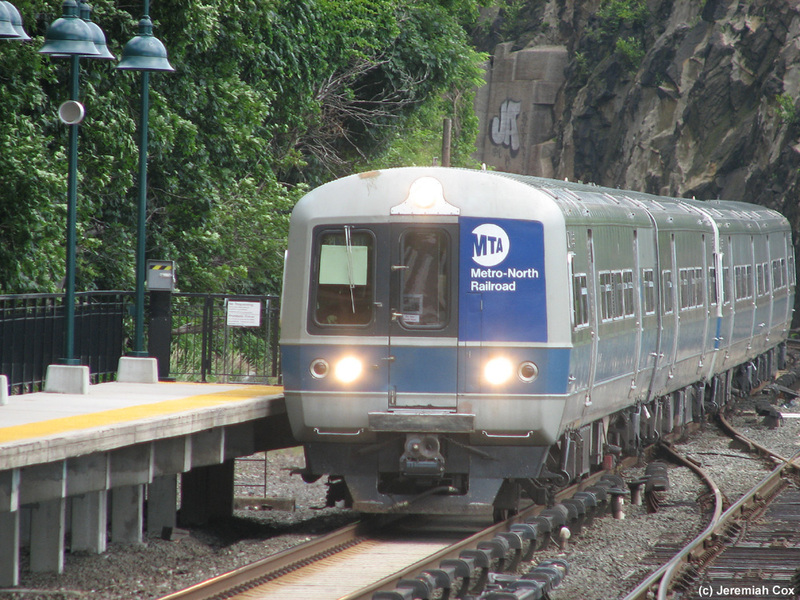 During Weekdays 3 Hudson Rail Link Shuttle Bus Routes operate during peak hours and one combined route during off-peak hours meet virtually every train (between 5:30am and midnight) connecting passengers up to homes in Riverdale above the station. 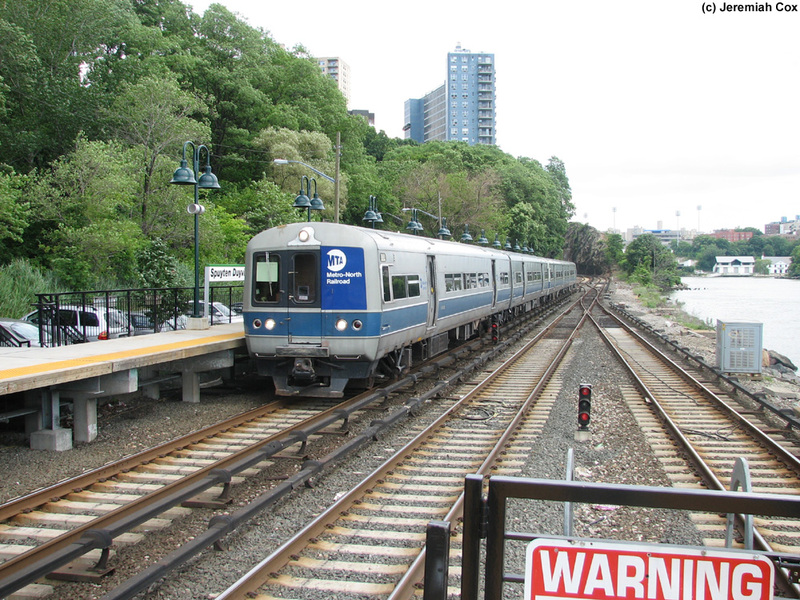 This service has operated since 1991 and additional routes connect other areas of the hilly community to the Riverdale Station. 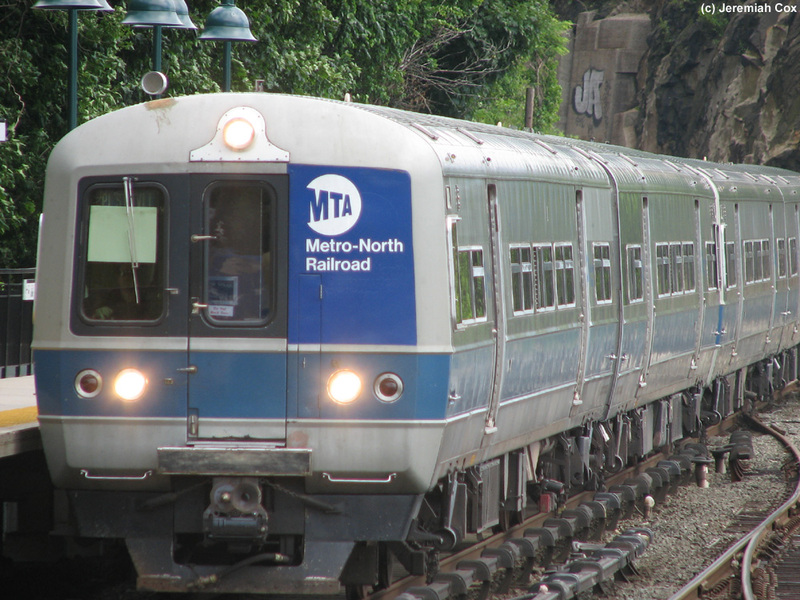 The shuttles accept MetroCard (including Unlimiteds) and the fare is the normal local bus fares. The service uses small school bus-like buses since the nearby roads are too steep to allow regular transit buses. 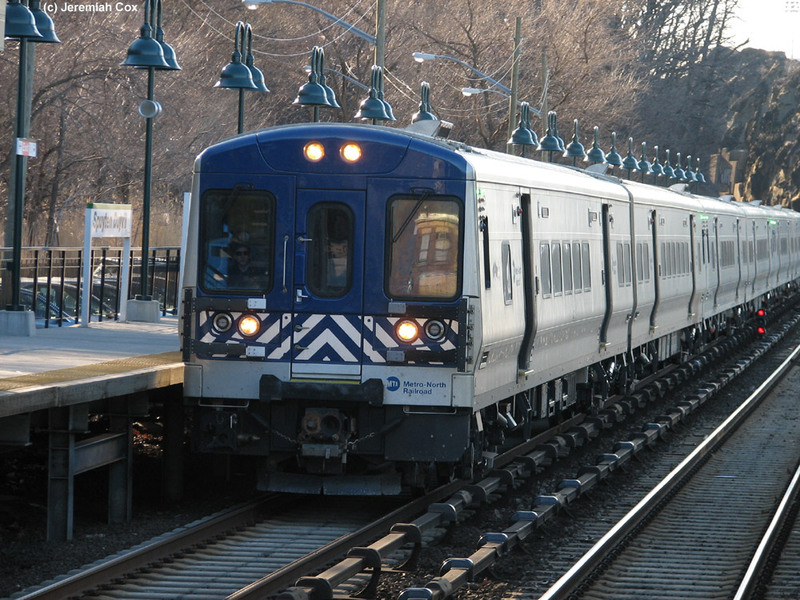 The station itself has three tracks in the area and all three platform. 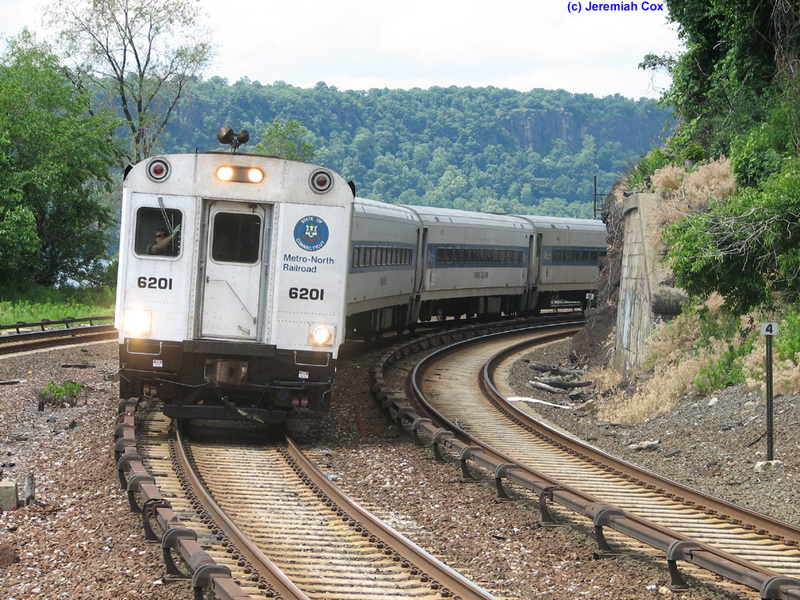 There is a short island platform (normally used by New York-bound trains) that can accommodate 4 cars that covers the southwest two tracks and a longer side platform that is full-length for 8 cars along the north track with Edsall Avenue directly along it. 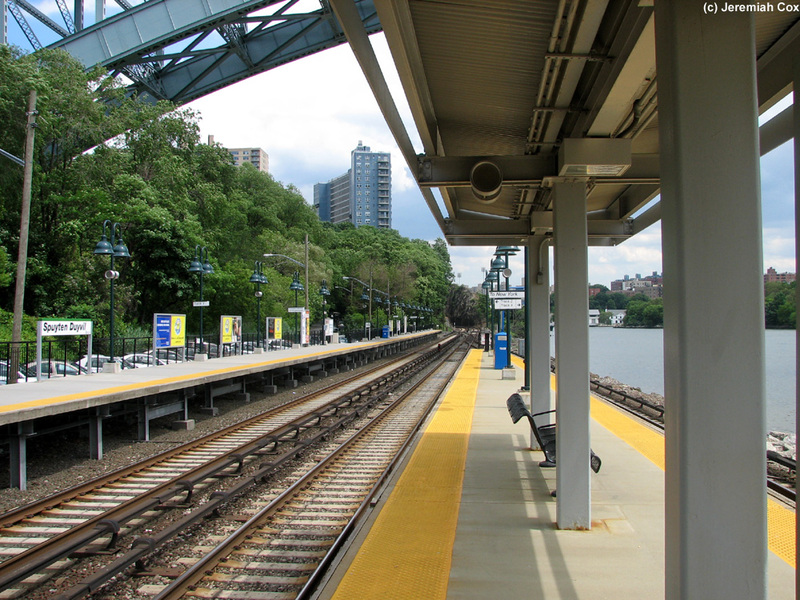 The island platform is accessed by a fully enclosed pedestrian bridge with TVMs inside the bridge at the western end of the platforms (they start at the same place). 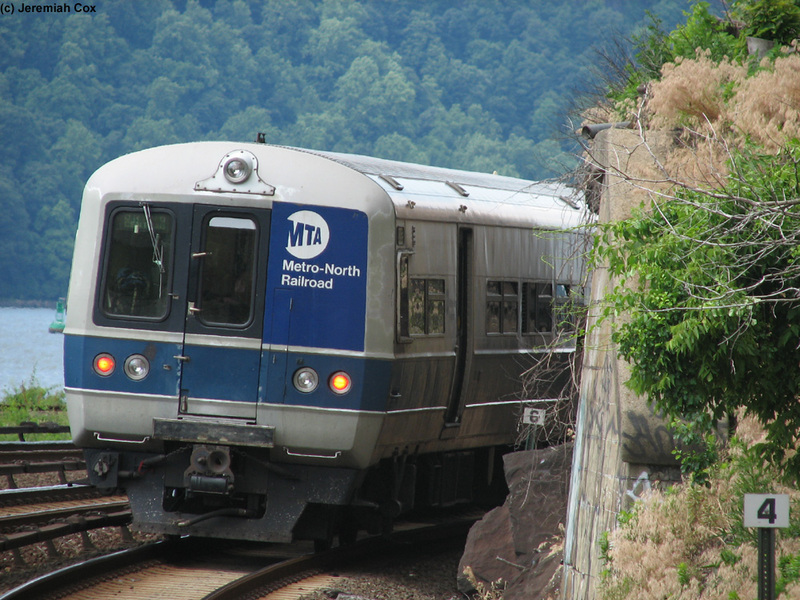 A staircase leads up to the bridge from both platforms. 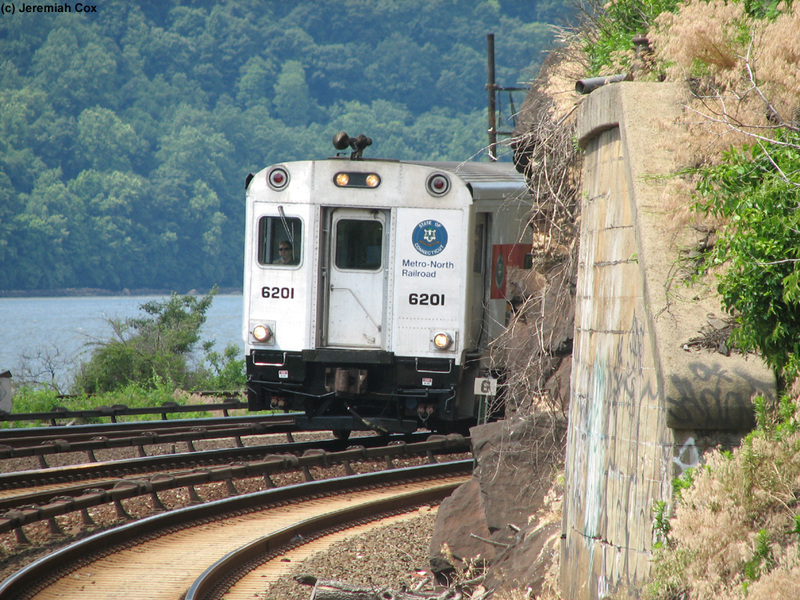 An exit from an enclosed portion of the bridge leads to a bridge that continues exposed (without any further steps) to Edsall Avenue on the opposite side of a hairpin turn down to the station. 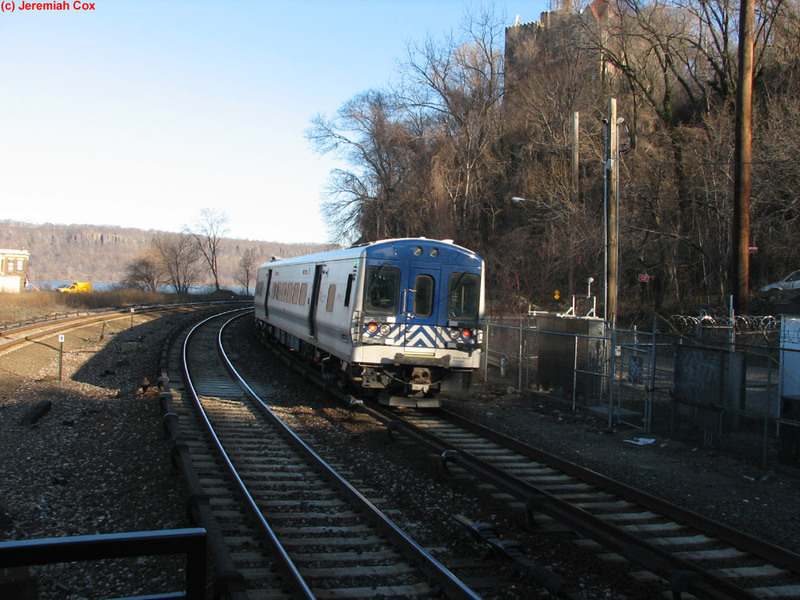 Nearby is Bradley Terrace, street stairs that lead to Palisade Avenue and Independence Avenue into the surrounding community. 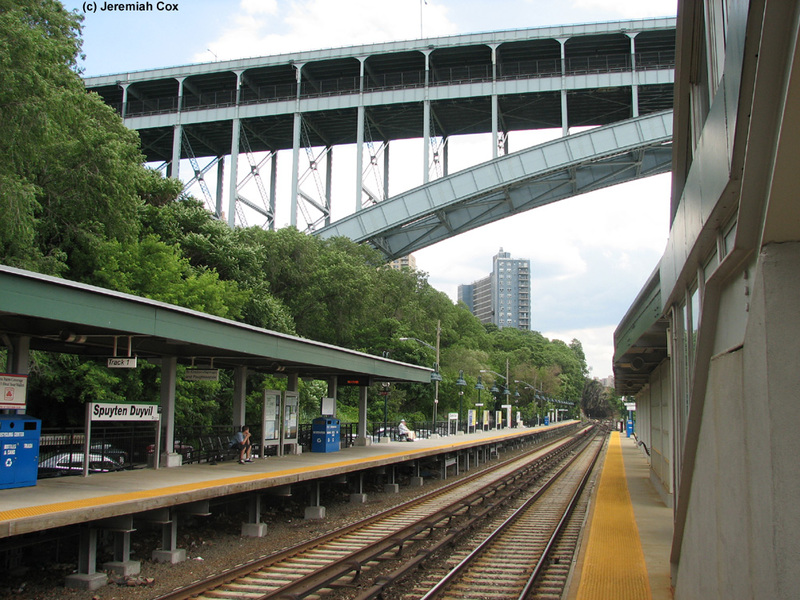 The short island platform is canopied for about half its length with the side platform only covered for a couple of car lengths by its staircase up to the overpass. The side platform also has a couple staircases and an ADA ramp to only the Northbound platform from the drop off area of Edsall Place. This is where the RailLink Bus stop is. 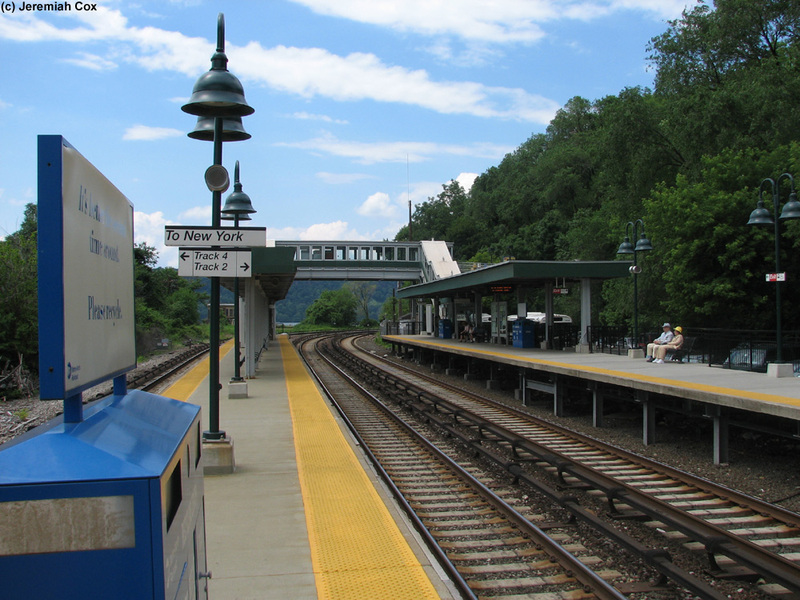 The station was renovated in the early 2000s and has the standard green Hudson Line lampposts but older generation white frameworks for the platform canopies. 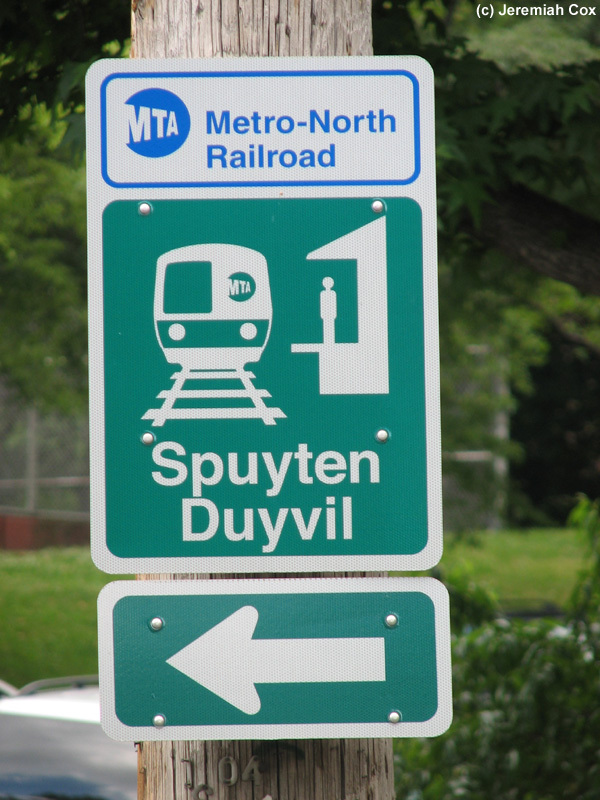 A platform sign at Spuyten Duyvil.